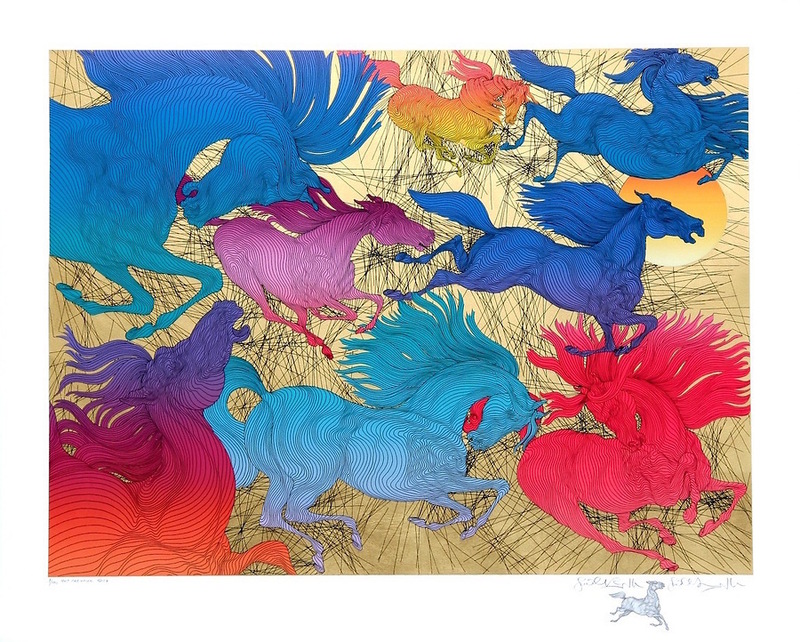 Azoulay has amassed an impressive catalogue of stunning full colour serigraphs. As razor-thin ribbons of black ink arc and swirl around Azoulay's flights of fancy, they are offset by electric hues of vivid colour creating a kind of optical illusion: the areas of shadow and light are formed by those exquisite lines, while the intensity of colour remains constant as one shade blends into another. As artist Richard Mann has noted, "The brilliance of Azoulay's art centres on his ability to utilise the purity of line to create powerful illusions of sculptural volumes in motion..."